Simple meets functional with this BPA-free lunch box. 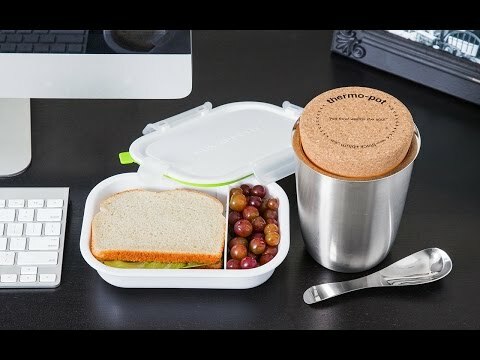 With a divider for separating food and lockdown clips to create a tight seal, it’s easy to pack a sandwich, yogurt, or even sauce-topped pasta for on-the-go meals. Dimensions: 8.07" x 5.71" x 2.95"
works great and saves the earth from using a plastic bag daily for a sandwich. Sturdy, airtight and simple to clean. Great size for a sammich and a side.